So you’re about to move to your new house or business… or you’ve just moved and you’re wondering how and when to get your antenna installation sorted? You’re in the right place! Moving can be a stressful time… there are just so many things to tick off your list! There’s cleaning, setting up furniture, tip runs, meeting the new neighbours, and unpacking about a million boxes. Organising antenna installation might on your list too, but with the right help, it can be the easiest part of your move in. In this guide, we’ve included our answers to the top questions we get about antenna installation and important things you should consider for your situation. That way, you can be confident in choosing the right antenna for your new place. Which means you can settle in, sit on your couch, and unwind in front of your favourite shows sooner. Should I Install My Antenna Before Or After I Move In? If you’re happy to wait a day or so for a TV connection, installing your antenna on the day you move in (or just after) should be fine. However, if it’s a new home and it’s still under construction, this is the perfect time to book your antenna installation so that your technician can easily run the cabling before the walls and gyprock are finished, especially if it’s a two-storey home. Will I Need To Be At Home During the Installation? Yes. Your technician will usually need to access your roof, as well as the manhole to climb inside your roof and get everything connected. So unless your home is still a construction site, you’ll need to make sure you’re at home to let your technician inside. How Much Does Antenna Installation Cost? In our experience, standard rates start from around $200 to $500+ to install a new antenna on your roof, depending on your requirements. Who Should I Hire For My Antenna Installation? Some electricians offer installations, but we recommend you go with a specialist for your antenna installation service. An antenna specialist will have the knowledge, experience and equipment to do the right tests and ensure you get the best possible result for your home. What Kind Of Antenna Should I Get For My Home? It depends a lot on where you’re located and the signal strength you can get to your home. If you’re in an area that’s very close to the broadcast towers and you can see them from your home, you might be able to use an indoor antenna. But it’s more likely that you’ll need an outdoor antenna for your roof, like a “Yagi” or a “Log Periodic”. When your technician comes out to do a site check and quote, they’ll be able to let you know what your options are, and what type of antenna is best for your home. For more information on the different types of antennas, check out our other blog where we dive into what a digital antenna is. Your best options for installing your antenna depend a great deal on your situation. So we’ve broken down the most common scenarios below, from homeowners and renters to businesses and real estate agents. First of all, congratulations on your shiny new home! There’s nothing like the smell of freshly painted walls and perfect new carpets, right? You’ve probably got a million things to tick off your list right now, including antenna installation, since this won’t normally come in the package you get from your builder. But something that does come in the package for many new houses is your TV points and cables. Often the electrician who is contracted to do your wiring will also do your TV antenna wiring, phone cable, TV outlets, and so on as part of your package. That means in some cases, as long as your cabling is okay, you may just need your new antenna mounted, connected to the cable in your roof, and then adjusted for the best signal. If you’ve got TV points visible on your walls, you can let your technician know and they’ll check the cabling, then quote your antenna installation accordingly. In any case, it’s a good idea to call on your local digital antenna experts so they can assess the situation, figure out what the problem is, and then provide you with a solution, whether it’s an upgrade, a fix, or a new antenna installation. Then you can get back to enjoying your new home and really making it yours! Are you legally entitled to Free-To-Air TV at your rental property? If there are no antenna or TV outlets at the property, you could put in a request with your landlord, but they aren’t required to approve it. In this case, you could opt to pay for the antenna installation and outlets yourself (with their approval) or get an indoor antenna if you’re in an area with excellent reception. Otherwise, you might have to settle for a good internet connection and streaming your shows instead. Are you in an apartment complex? Things can get a little more complicated if you’re renting an apartment, townhouse, or unit. A lot of the time, these types of properties share an antenna system (also called a Master Antenna TV). Some upgrades might be minimal, but a full antenna installation or replacement will likely affect your neighbours as well. In these situations, you’ll need to first speak to your landlord about a potential antenna upgrade or replacement, and then they’ll need to get it approved through the strata manager and body corporate. To help make this process as smooth as possible, be clear about the problems you’re experiencing and why it’s important to get them fixed – both for you and the other tenants. And provide your technician’s contact details so they can ask any questions, get a professional opinion, and easily book in the work. Welcome to your new premises! 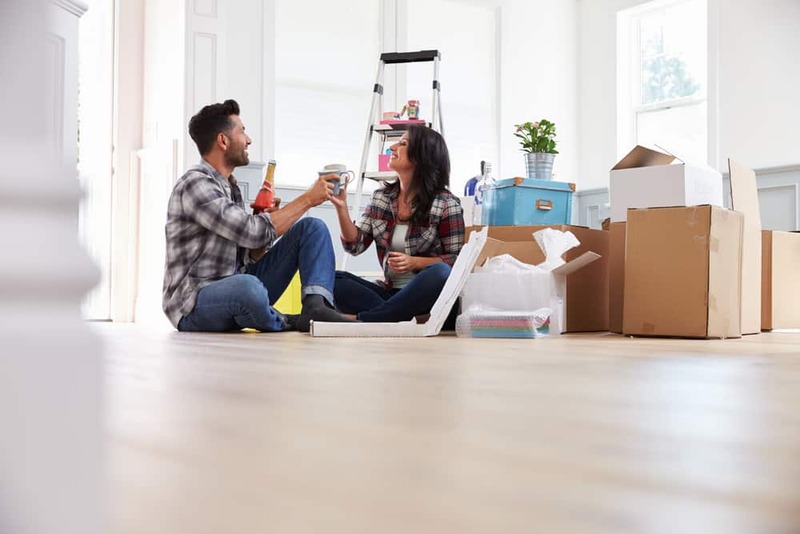 Whether you’ve moved from your old location to a new one, or you’re opening up shop for the first time, it’s an exciting time for you! No doubt you want to make sure you get your antenna installation sorted ASAP so your customers and/or staff can tune into their favourite channels. If you’re renting or moving into an existing dwelling, you’ll likely already have an antenna installed from the previous occupants. In that case, try plugging in your TV and seeing what kind of signal you get. If there are no issues, great! Otherwise, call in an antenna professional to assess the situation and figure out whether you need a simple fix or an upgrade. But if you’re in a new building or the building you’re moving into has never had a TV antenna or TV wall point installed, you can organise your antenna installation as soon as you move in. Your technician will perform tests to make sure you have the right equipment and the best possible signal for your business, even if you need to split the signal across multiple outlets and devices. One final point for businesses: as with renting a home, make sure you get permission from your landlord before you make any changes or install a new antenna. Property managers are usually some of the busiest folks we deal with… you have homes to inspect and rent out, tenants to appease, and landlords to keep happy. When a tenant requests an antenna installation, you need to communicate with both the landlord, the tenant, and often the technician to arrange all the details, so it’s important that you have a solid understanding of how it works and what the rules are for everyone. In general, if the tenant has an existing TV antenna or wall point, but can’t get reception on their TV, they’ll be entitled to a new antenna or a fix. But if there was no indication of Free-to-Air TV accessibility as part of the home, it’s up to the landlord whether they want to pay to get a TV antenna installed or not. The good news is that organising antenna installations are super easy – fast for your tenant and affordable for your landlord. Everyone’s happy. Just stick to the rules laid out in your state’s tenancy agreement for dealing with fixtures, upgrades, and inclusions, and you’ll be right. Time to Get Your Antenna Installation Sorted? Call Australia’s digital antenna pros and take one stressful item off your moving checklist. We’ll make sure your installation is done right and ready when you move in so you can start getting settled into your new home. Call us for a free quote on 1300 800 123 or book in same-day to get your antenna sorted ASAP. We look forward to giving you the best connection (and service) you can possibly get!